A lot of Beeminder goals focus on trying to get you to do more of something: study more, exercise more, brush your teeth more. But you can also create goals for things you're trying to quit doing: less Facebook, less smoking, less junk food. Do Less goals are often more difficult to automate — how do you automatically report every time you open a bag of chips? 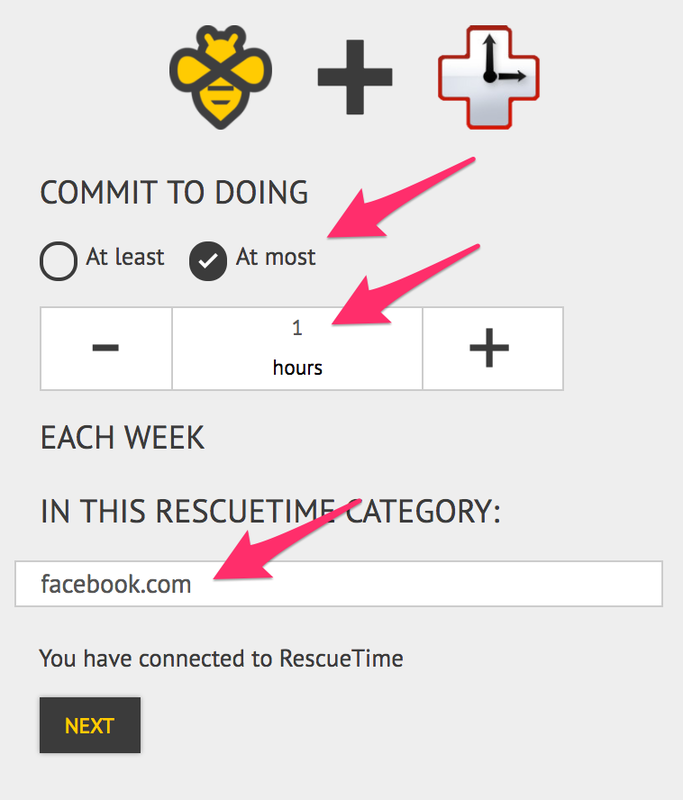 Luckily that's not true for time wasted on the internet, thanks to an app called RescueTime. It'll track everything you do on your computer (and/or Android phone) and give you a productivity report card — and thanks to a direct integration, it can then tell Beeminder how you did as well! 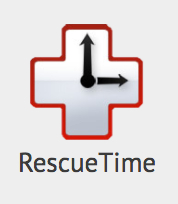 Click the RescueTime icon to start a new goal using RescueTime data. 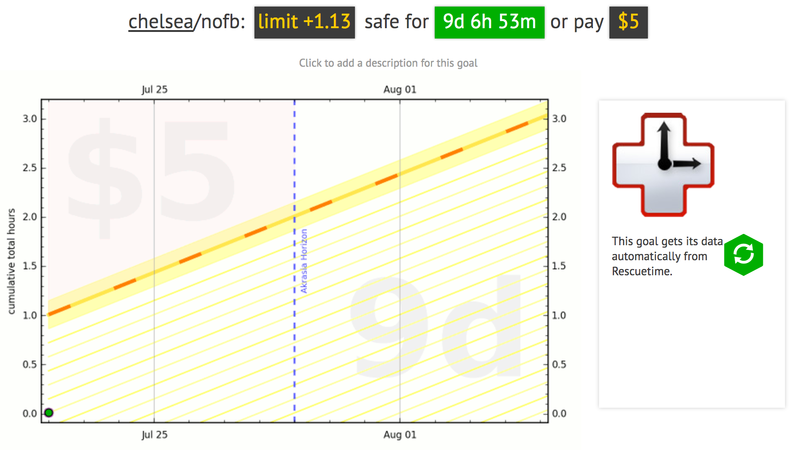 Since this is a limiting, Do Less goal, we want to limit ourselves to At most 1 hour per week. Of course, if you want more or less hours, put in your own value. 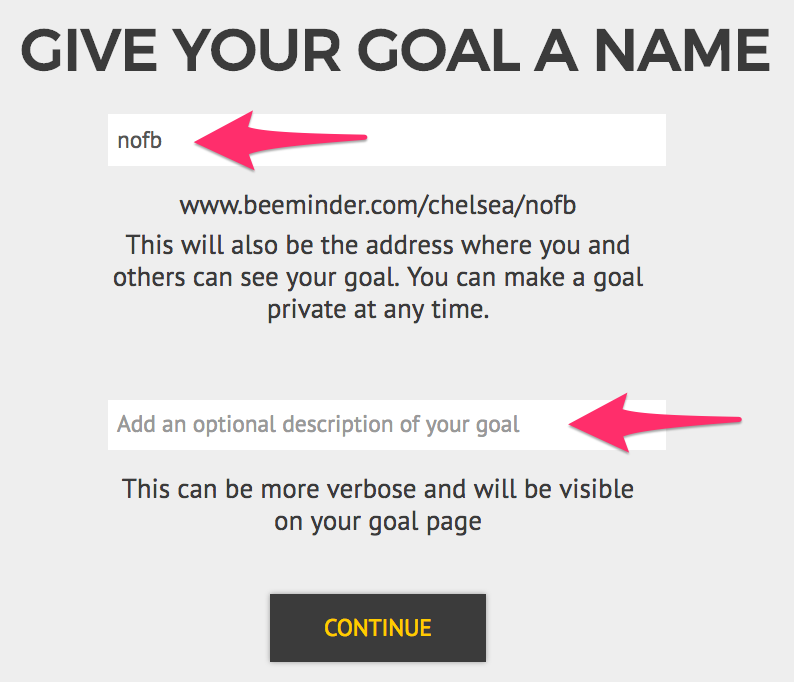 I only want to track my time on Facebook for this goal, so I select facebook.com from the category dropdown.